Agung Hujatnikajennong is one of the most interesting and renowned Indonesian curators. 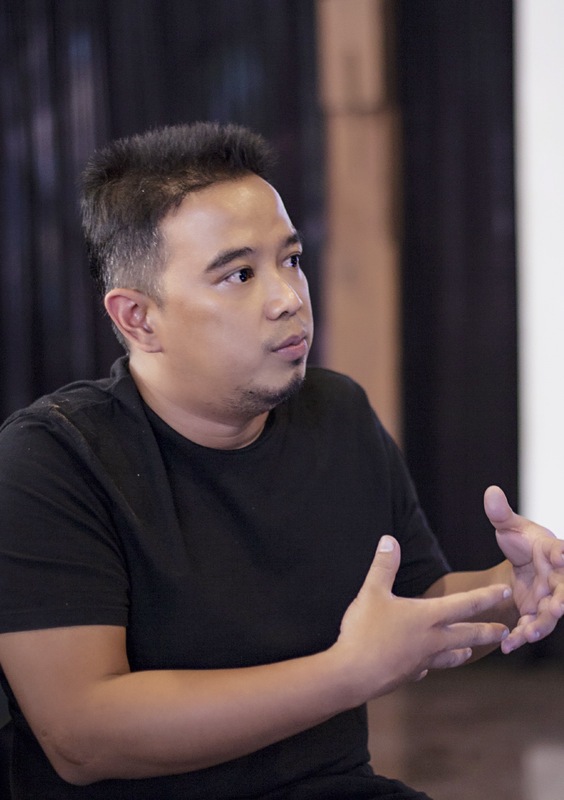 He was Chief Curator at Selasar Sunaryo Art Space from 2001-2012, has closely worked with the artist run initiative ruangrupa, amongst others for the OK. Video Festival (2003, 2005 and 2011). In 2009, he curated the Jakarta Biennale Fluid Zones with a focus on the Southeast Asian region, and in 2013, he was co-curator of the Jogja Biennale Not a Dead End. Indonesia Encounters the Arab Region. He wrote his PhD thesis on curating in Indonesia and currently, besides working as a curator, he is a lecturer at Institut Teknologi Bandung (ITB). 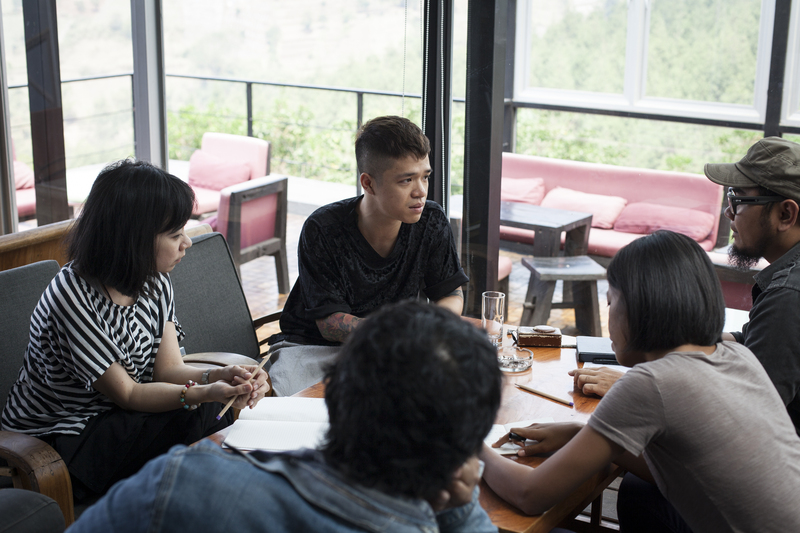 This February, he came to Germany as part of CuratorsLAB, a German-Southeast Asian programme for emerging Southeast Asian curators. What follows is an interview with Katerina Valdivia Bruch, a Berlin-based freelance curator, arts writer and regular contributor for culture360.asef.org. How did this project start and who were the initiators? 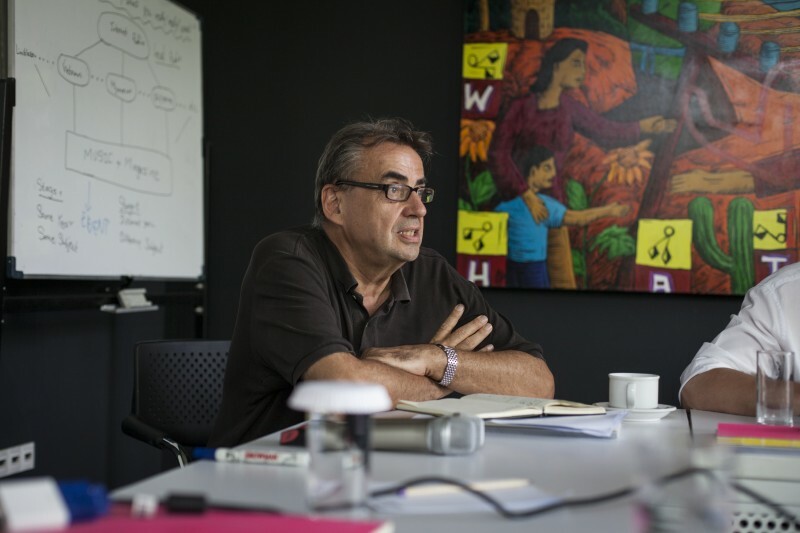 The project started as a follow-up of a meeting and conversation between myself and the current director of Goethe-Institut Jakarta, Dr. Heinrich Blömeke, in May 2015 in Bandung. 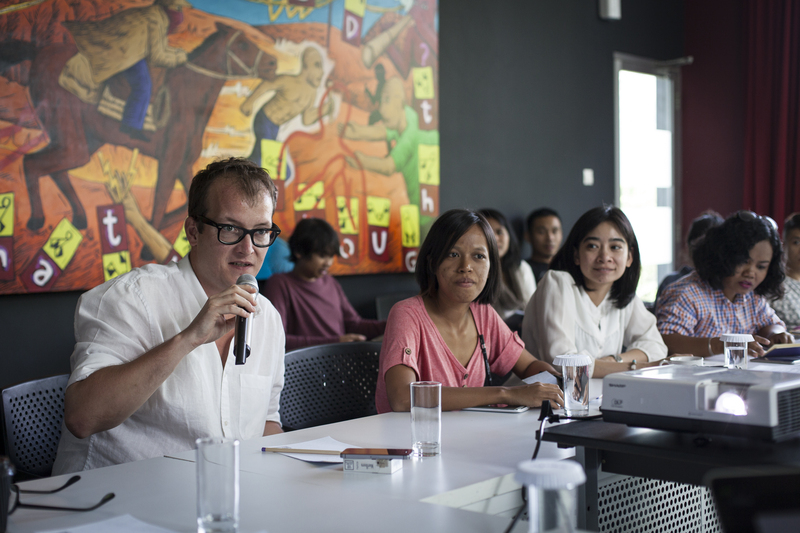 At that time Mr. Blömeke already had the idea of working on a project that involved young curators from Southeast Asia. Before our meeting, he has had some conversations with Philippe Pirotte (Rector of Staedelschule) and Fabian Schöneich (Curator at Portikus) from Frankfurt. Our meeting began with Mr. Blömeke's questions about how the curators phenomenon emerged in Southeast Asia, how did it start, and especially how the new generation of curators may evolve in the future. As you know, many Southeast Asian curators, especially those who started to work in the early 1990s as 'independent curators' are mostly self-taught. Some were academics, independent researchers, art critics or practicing artists before they turned into curating. The emergence of the curator, in its most recent sense in Southeast Asia, was one of the impacts of the global turn to contemporary art, which manifested in the proliferation of biennales and blockbuster exhibitions after the end of the Cold War. What makes it so particular is that this first generation of curators in Southeast Asia did not start their career from or even have had experience in museums or more formal curatorial contexts. Aside from the consequence of the development of alternative or artist-run spaces in the local scenes, which was rampant throughout the 2000s, curatorship in Southeast Asia, the so-called 'second generation', evolved mainly through mentorship, internship and international curators residencies. The youngest generation that we may identify as the 'third generation', emerged when the Southeast Asian art scene turned into a more diverse and complex landscape in the global art context. Some of them had better opportunities to study abroad and get more acquainted with the international curatorial system in contemporary art museums or biennales. Thanks to the internet, they are connected more with artists and broader art scenes. They also grew up in a time when traveling around the region was actually much easier than before. They can have better access to information on contemporary curatorial practices through international media. Moreover, they started to get involved in curating when the regional networks were including the art market – and the consequent development of art fairs and commercial galleries –, which makes a difference in comparison to the first and second generation of curators. 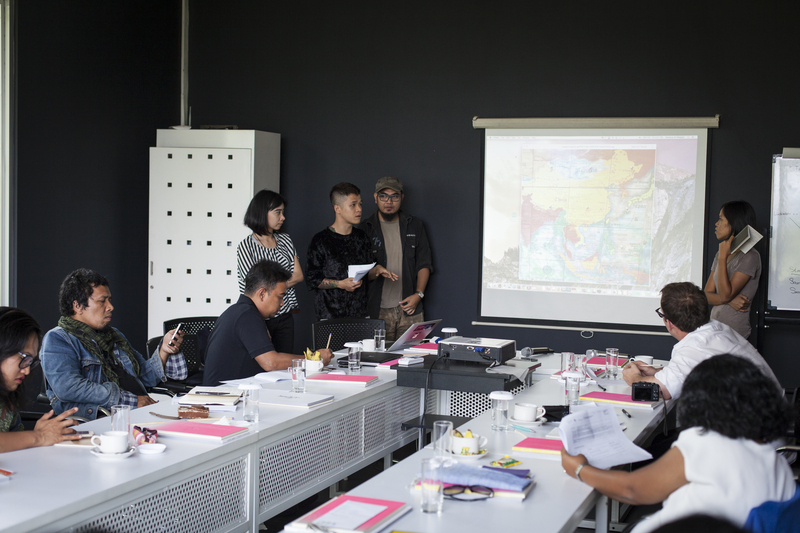 Despite this fact, the need to build a regional curatorial network in Southeast Asia is still needed, as the opportunity to work together and get a better understanding about the regional scene is still limited. Southeast Asia remains a heterogeneous region in terms of its arts and cultures. Development in infrastructure and support to curatorial practices are somehow unequal and centralised only in a few cities. Another obstacle is the higher art education system in the region, which does not give priority to neither art history nor curatorial research in order to expand into a cross- or intraregional model of studies. Although art history has become a more established academic discipline, the general tendency of the research that has been produced is still a bit nation-centered. 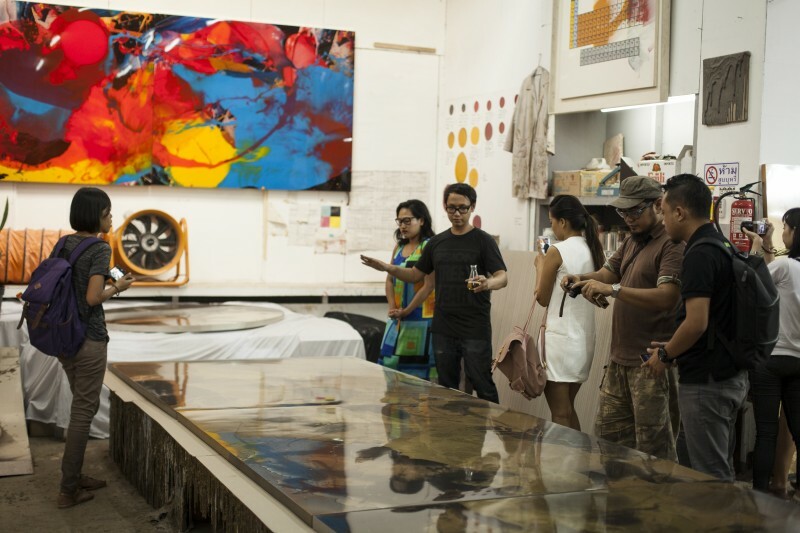 Academic courses on curatorial studies/practice have just started to open in Bandung and later on in Singapore, but there is still much work to be done to really connect them within the regional context. Based on this, we think that one of the ways to encourage a further development of curatorial practice in the region is to initiate a network among younger curators. Mr. Blömeke and I agreed to start a project in the format of a workshop and this is how CuratorsLAB began. How did the selection of participants take place? Did you have a call for proposals? Which institutions and countries are involved, apart from Portikus in Frankfurt and Institut Teknologi Bandung? Goethe-Institut is the main umbrella institution in the whole project and connects Southeast Asia with Germany. Staedelschule and Portikus in Frankfurt and the Faculty of Art and Design at Bandung Institute of Technology are the partner organisations in the programme. But since all participants are also active in different collectives and spaces, the workshop has actually formed a larger network of institutions. How do you understand your role inside the programme? Along with Fabian Schöneich, I play the role of facilitator. We initiate the main structure of the programme with the aim to create possibilities of further encounters and collaborations among the participants. The programme is divided in different phases for a period of 2 years. Can you tell us more about the schedule and the content of the programme? It is divided in 3 phases, consisting of meetings, seminars/lectures and a study trip. 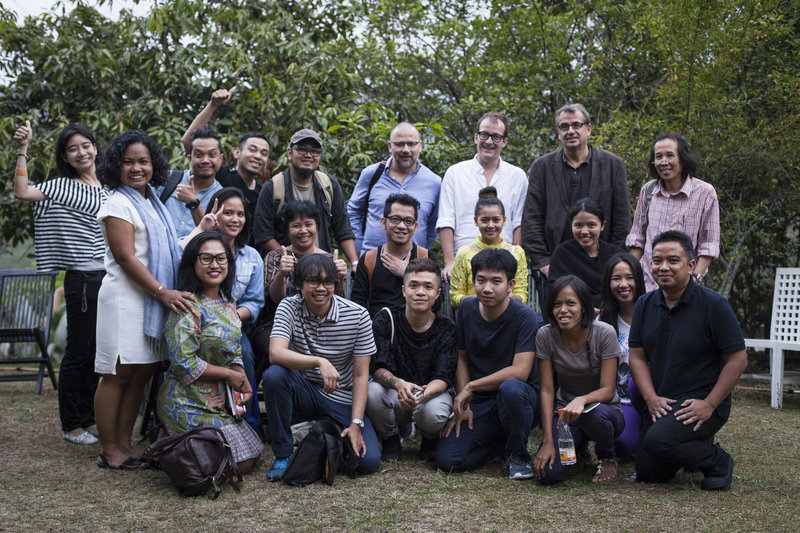 The 1st phase took place in Bandung, at Selasar Sunaryo Art Space and Lawangwangi Creative Space in October 2015. We asked each participant to do a small presentation about their curatorial activities and invited a number of speakers– American art historian Philip Ursprung (ETH Zürich), Dutch curator Dr. Thomas Berghuis (Director of MACAN Museum, the first international modern art museum, which will open in 2017 in Jakarta) and Indonesian independent curator Enin Supriyanto – to present lectures. Fabian Schöneich and myself also gave two different papers on the history of curatorial practices in both the European and Southeast Asian contexts. Two Indonesian curators, Hendro Wiyanto and Aminudin TH Siregar were also invited as observers and commentators. Aside from some visits to artist studios and spaces, we also held a small discussion open to the public. The 2nd phase has happened quite recently. In February this year, we did a 10 days study trip to Germany, which gave the participants the opportunity to see different kinds of art scenes through visits to artists’ studios, museums, art spaces and exhibitions in Frankfurt, Cologne, Berlin and Kassel. They attended lectures by international artists and curators on different topics, such as curatorial studies in Germany. One of the outcomes of the trip was that the participants had a chance to know each other and exchange ideas, through informal chats and hangouts. The 3rd phase will be in Bangkok in July 2016, where we will have closed-door sessions about the plans and final round of the project. We are planning to invite some regional experts to give inputs and comments to the whole project. At the end of the programme, you plan to organise a final exhibition. Are the curators preparing their own shows or is it going to be a collaborative work among the curators involved in the programme? We have decided that the final round of the project will present an exhibition with all CuratorsLAB participants as one curatorial team. The idea is to do the exhibition in Indonesia in 2017.